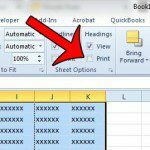 Read receipts are something that have been a part of email communication for a while, and are a part of text messaging, too. Some users like to know that their intended recipients have received their messages, and a read receipt is a way for that to potentially happen. Essentially what happens is that the sent message includes a request to the recipient, asking if it’s alright to let the sender know when the message has been read. But many people prefer not to let someone know that they have read a message, and would prefer to keep that information private until they choose to respond. 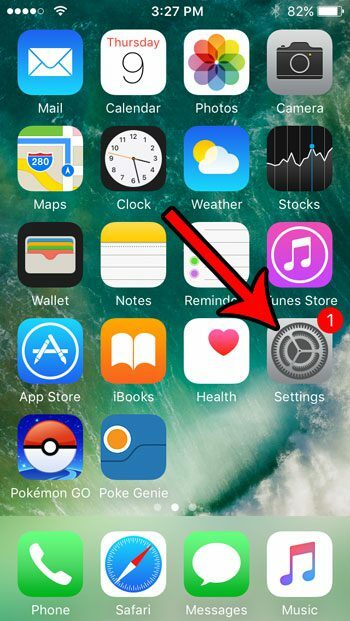 So if you discover that your iPhone SE is sending read receipts to your contacts letting them know that you read their texts, then you might be looking for a way to turn that off. 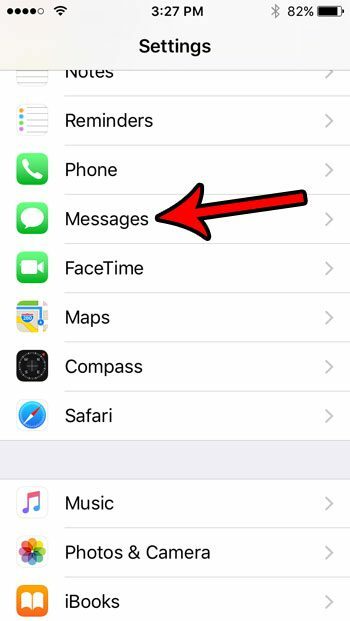 The tutorial below will show you where to find this setting so that you can disable it and stop sending read receipts. The steps in this article were performed on an iPhone SE in iOS 10.3.2. This guide assumes that people are currently able to see that you have read their text messages, but that you would like to stop this from occurring. Step 2: Scroll down and choose the Messages option. 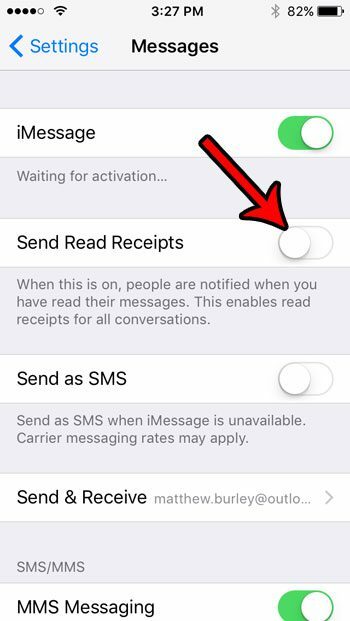 Step 3: Tap the button to the right of Send Read Receipts to turn it off. Note that there shouldn’t be any green shading around the button when this setting is turned off. I have disabled read receipts in the image below. 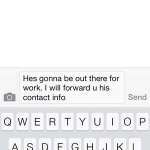 is there someone that says they are sending you text messages, but you have received them? 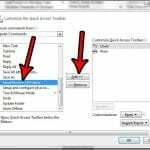 Learn how to check your iPhone’s blocked contact list and see which names and phone numbers have been blocked on your device.